I had to take you back to the Indiana State Fair this week to introduce you to the talents of Sarah Kaufmann, A.K.A. "The Cheese Lady." The Indiana Dairy Farm Families has presented Sarah's talent in the "Our Land" pavilion for the past 4 years. Sarah is nationally known for her sculptures made of cheese. This year's sculpture was made from of a total of 1,498 pounds of cheese: 1,280 pounds of Indiana cheddar cheese, 120 pounds of white cheddar, 94 pounds of Gouda, and 3 pounds of string cheese. the idea, a series of pencil sketches, selecting the final draft, creating the draft in color, selecting the cheese textures and colors, ordering the cheese, carving a miniature version of the final draft, and then building a foundation to support the 1,498 pounds of cheese. Sarah begins carving her masterpiece at the opening of the fair. She works non-stop for 2-3 days before the big unveiling of her creation. The theme of this year's sculpture is "Fuel Up-Play 60." Fuel-Up Play 60 is a new youth program sponsored by National Dairy Council and the National Football League designed to empower students to take action for their health and improve their school environment. 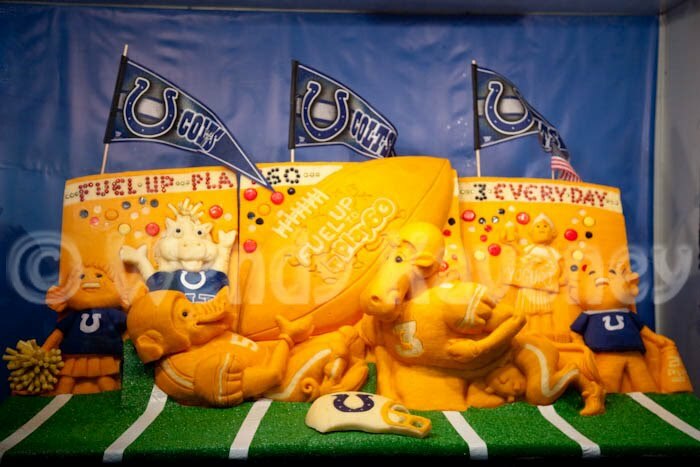 Sarah went one step further to tie her masterpiece to Indiana: She embellished the final sculpture with Indianapolis Colts flags and included BLUE, the Colts' mascot! At the close of the fair, the cheese from the sculpture was re-processed into animal feed. To learn more about Sarah Kaufmann and to see more of her cheese creations, click here. 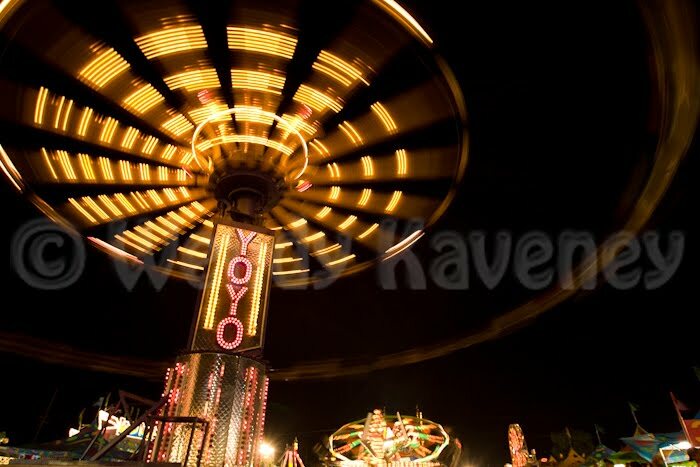 This week's images were made at the Indiana state Fair. The heat of the summer is upon us and the deafening song of the cicadas fill the Indiana air. It can only mean one thing: time once again for the Indiana State Fair! 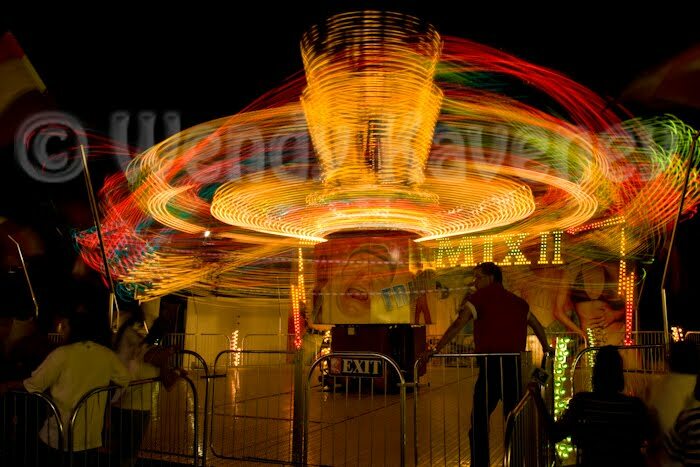 The fair begins today and is celebrating its 154th anniversary. This year's theme: The Year of PIGS. Indiana is the 5th largest state for pork production in the United States and so it seems fitting that is is being sponsored by the Indiana Pork Producers. 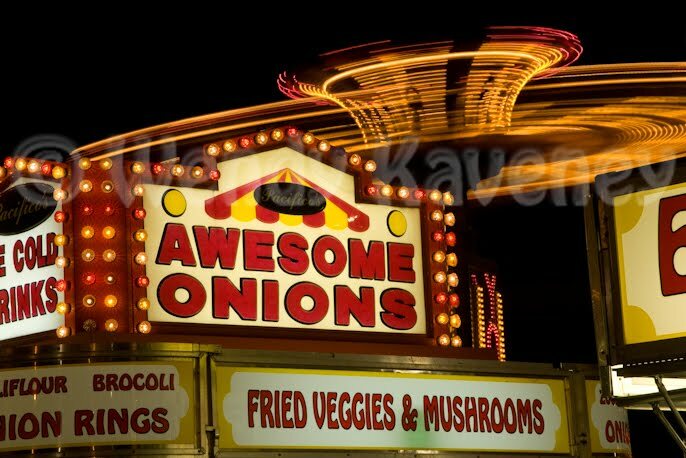 Each year the Indiana State Fair chooses a signature food to be featured at the fair. This year, in keeping with the theme of the fair, the choices included Country Fried Bacon, The Garbage Burger, Pig in a Pancake, Pulled Pork Taco, and Root Beer Ribs. All 5 choices will be served at the fair, but the winner for 2010 is the Garbage Burger- A ground pork burger topped with pulled pork and seasoned with barbecue sauce. Last year, Chocolate Covered Bacon was featured at the fair...I never had the desire to try it and I wonder if it will return this year in honor of the year of the pig?? 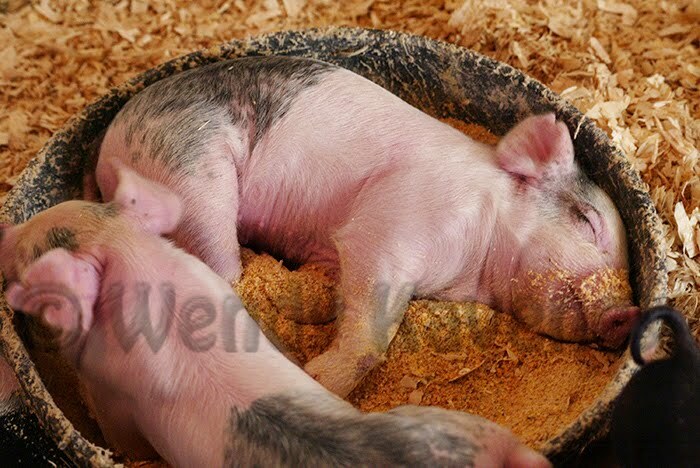 One thing I always enjoy seeing while visiting the fair are the new litters of piglets. They can be heard squealing the moment one enters the swine barn and there is always a crowd of visitors around their pig pen. This image (awarded Editor's Choice in the Pets category in the book 'Capture Indy'- Pediment Publishing -2009) was made shortly after these pigs finished nursing. They didn't seem to care where they fell asleep after having their fill. However, I doubt their fill consisted of either the chocolate covered bacon or garbage burger!